The standard of Australia’s Merino wool is known as the highest in the world. The excellent quality of Merino wool has been honed by hundreds of years of farming expertise and superior breeding – resulting in the strong, fine wool that has become one of the world’s most useful textiles. To maintain a consistently high grade of wool, it’s important to stay vigilant and aware of the different reasons your latest yield could vary in weight, diameter, length and staple strength. A client of ours, John Wheaten from Boorooma Merinos, has achieved excellent results and improved general health and production of his Merino flock. 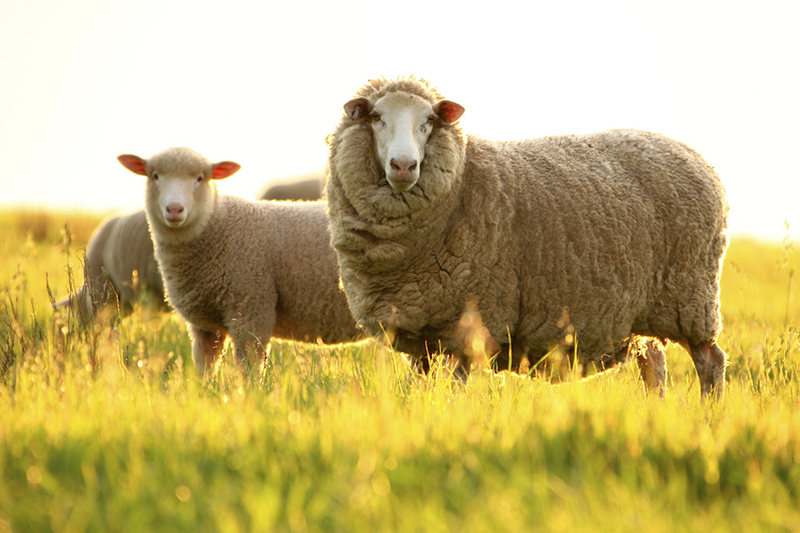 Read on to discover ways of improving your wool production. Using Beachport Liquid Minerals every 6 weeks throughout pre-joining, pre-lambing & lactation periods will ensure a rising plane of nutrition in ewes helping with feed conversion, protein production and mineral profiling. 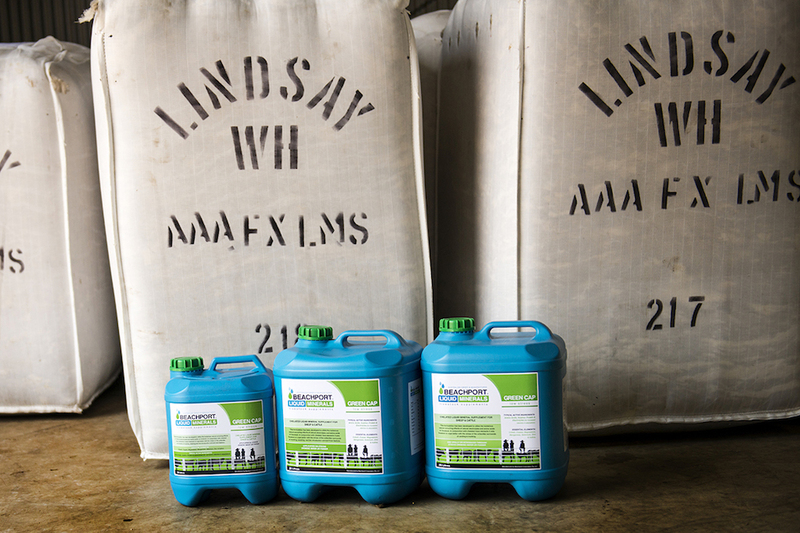 Using Beachport Liquid Minerals (BLM) all year round may help with conception rates, a tighter drop of lambs, stronger weaner weights and getting ewes and maiden ewes in to lamb quicker. The key to success at first joining is nutrition. Maintenance throughout pregnancy is key. Maintaining good ewe condition throughout all stages of pregnancy will help with the amount of clean fleece weight produced and can possibly improve staple strength. A Merino lamb’s future wool production is affected by ewe nutrition during pregnancy. According to Bruce Agars from Elliston, with BLM the sheep get a greater range of trace elements, becoming healthier animals as a result. All his sheep get BLM. He makes sure the lambing ewes all receive BLM in the last 6 weeks before they lamb, and has seen a marked improvement in the lambs from birth. 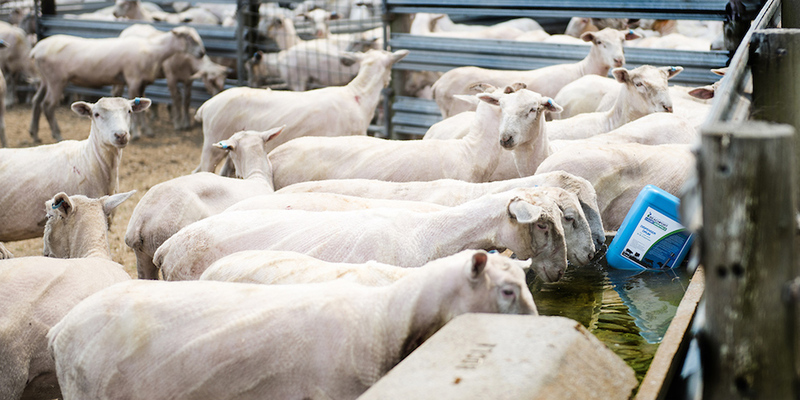 Placing BLM in the water pre-lambing will see the ewes through lambing and into the first few weeks of lactation, as well as assist with recovery post-lambing. Keeping the health of the ewe and lamb elevated throughout these high energy demand times may assist in improved wool production. There is a long list of ways your flock can become stressed: Temperature, lambing, predators and transportation are just some of the ways a sheep can become unsettled and agitated. While every effort is taken to reduce reason for a sheep to feel stress, sometimes the factors are uncontrollable or unavoidable and before you know it, there are sheep showing side effects. One of those side effects? Lower quality wool. The weaning phase is a stressful period for the lambs and also ewes. If you can treat the lambs for stress prior to or at weaning, there is a possibility of reducing the occurrence of tender wool. At weaning time, Jayden Harris from Brimanna Poll Merinos uses Green Cap. It keeps the sheep a lot calmer and helps the lambs mother up better. The importance of these 4 trace elements is often underestimated. By including them in your Merino flock’s diet, you may prevent many of the issues that can decrease the quality of their wool. 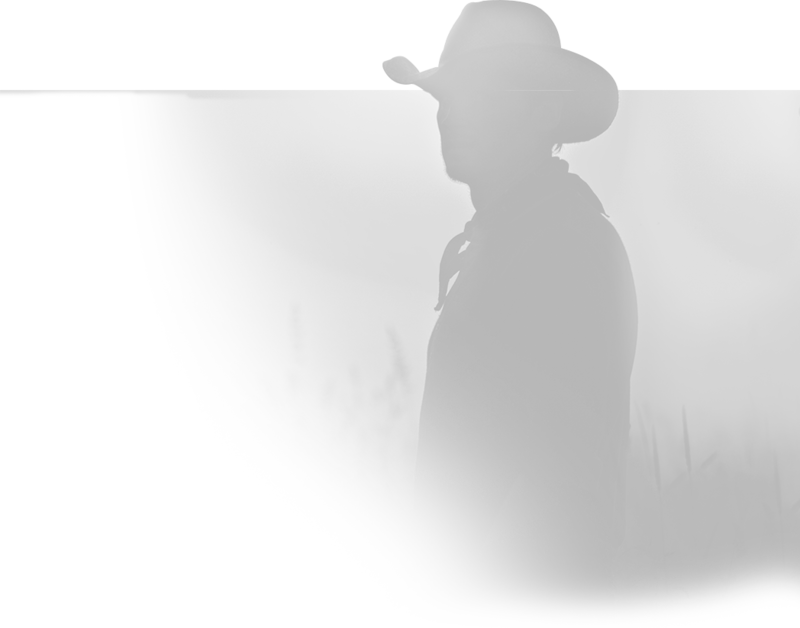 Bruce McLeish has used BLM for over 2 years and has increased the length of wool on his sheep by up to 8mm in one of the worst droughts he had on record. He usually averages 88-90mm and recently achieved 96-98mm with sheep coming off the board strong. Sulphur is necessary for the production of amino acids in ruminant animals. Increased sulphur levels in wool growing seasons have been associated with higher lamb survival, increased wool production, weight gain and stronger wool. A deficiency in Selenium may reduce wool growth. Supplementing with selenium may aid in increasing staple length and strength and assist in the reduction of tender wool. Copper plays a vital role in maintaining the quality of wool fibre. A diet lacking copper may result in de-pigmentation of the wool that also lacks crimp and has reduced strength. Zinc is also an important element affecting wool production. Sheep need almost twice as much zinc for optimal wool production than they do for weight gain. 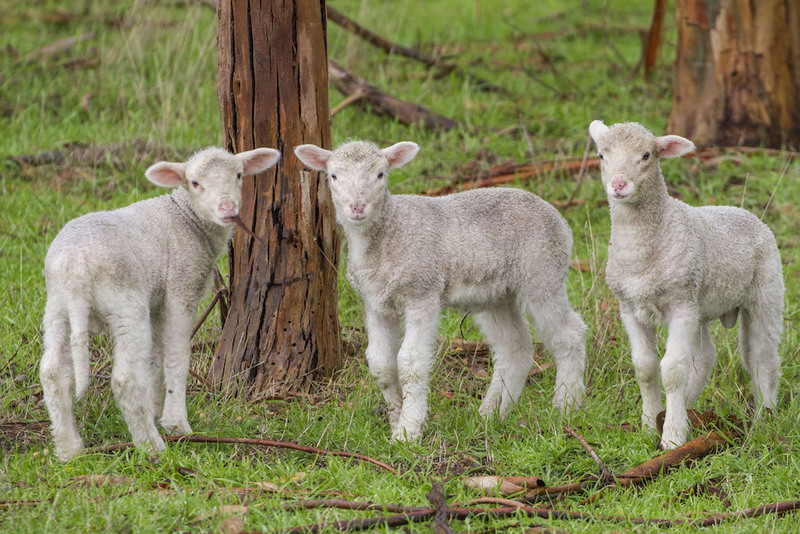 Zinc deficiency may result in a significant reduction of wool growth; some fibres are shed and the fibres that are produced lack crimp and are glossy & brittle. Beachport Liquid Minerals have a range of liquid supplements that are designed to help your Merino flock get access to the nutrients they need for improved production. Adrian & Ellen Smith from Tralee in St George have seen wool crimp and length improve as well as the overall health of the sheep. You too can find out which of our products is best for your needs by using our Product Selector.